Did I Heal My Cavities With Ice Cream? July 28, 2011: I sat in front of a monitor as the dentist showed me two dental cavities. They were in my wisdom teeth. On the screen I could clearly see each cavity. April 23, 2015: A new dentist walked me through my x-rays. I asked him to focus on my wisdom teeth and tell me what he thought. On the monitor he brought up my wisdom teeth and told me they looked perfect. No cavities. I never got those cavities filled. They healed. Four years ago after the dentist told me about the two cavities, he said he could fill them or since they were wisdom teeth, he could remove them. Instead of listening to the dentist, I decided to run an experiment. I would try and heal my two cavities. Since the cavities were in my wisdom teeth, I had the freedom to fail. If the cavities got worse, I could just have the teeth removed. But I didn’t fail. The two cavities I had in 2011 are now gone. There are many blogs and YouTube videos out there that will tell you how to heal cavities. I’m not going to go there, because although I know my two cavities were healed, I do not know exactly how it happened. That would be speculation. I will say the number #1 change I made in the period between dental visits was a drastic increase in ice cream consumption. I went from having ice cream a few times a year to daily. 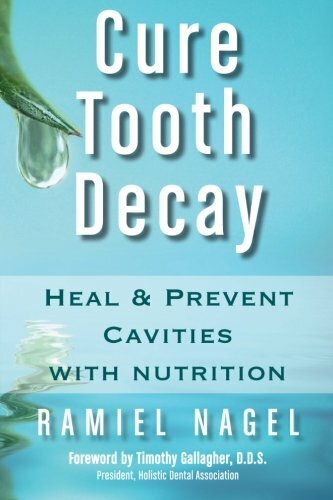 My first resource was Rami Nagel, author of Cure Tooth Decay: Heal and Prevent Cavities with Nutrition. He came to Seattle to speak to the local Weston A. Price Meetup group. For those unfamiliar with Weston A. Price, read my post The Endgame for Paleo is WAPF. WAPF is a branch of nutrition which picks up where Paleo leaves off. It not only focuses on quality food, but on food preparation techniques used by many traditional cultures over thousands of years. Weston A. Price himself was a dentist who studied the dental health of many populations in the 1920s. His landmark book Nutrition and Physical Degeneration documents this journey. Even if you never read the book, just look at the pictures in the book (online). Traditional cultures had near perfect teeth and cavities were rare. Consume foods and supplements that are high in the fat soluble vitamins (A, D, E, K). This comes from dairy, especially from grass fed sources. Supplements such as fermented cod liver oil and butter oil are recommended. Vitamin K2 is especially interesting, as it hadn’t been discovered at the time Dr. Price did his research. He theorized there was a nutrient that was important to dental health, which he referred to as Activator X. That turned out to be K2. Limit or eliminate grains. Grains by themselves aren’t necessarily bad, but we rarely use the traditional techniques of grain preparation such as soaking, sprouting and fermenting. One critique of modern grains is that because they do not use traditional preparation methods, then can have a demineralizing effect. Healing cavities begins with remineralization. Organ meats, such as beef liver, are loaded with nutrients that can assist with healing. Eat foods with saturated fat and cholesterol. Avoid industrial seed oils. This idea is gradually gaining support in the mainstream. Do not overcook your proteins. His opinion on sugar was mixed. He liked natural sources of sugar. However, since the goal is to increase fat soluble vitamins, he favors getting more calories from those fats. This advice was easy for me to follow. I had already ditched the bread and was eating organ meats weekly at this point. I was also a big fan of dairy and had been increasing my intake fat soluble vitamins. I also started taking fermented cod liver oil. This supplement is expensive and I tend to only go through one jar during the Seattle winters. Most of the time I get my fat soluble vitamins from full fat dairy. Cheese, kefir and increasingly ice cream. In 2012 I started consuming ice cream on a regular basis. You can read the genesis of that decision in the post Why Ice Cream is Better than Protein Powder. Ice cream is a full fat dairy source with fat soluble vitamins, but it also has sugar. And I’ve been told since childhood that sugar causes cavities. So I was taught to minimize sugar consumption and brush my teeth frequently. But if there is one thing I’ve learned in the last few years about nutrition it is that sugar is no where near as bad as people claim. It is not toxic. People looking for simple narratives to explain away everything from cancer to diabetes have jumped on the sugar is evil bandwagon. It isn’t true. But I’m getting off topic here. For more information read In Defense of Sugar: The Sweet Truth about the Diet Industry’s Latest Evil by Joey Lott. 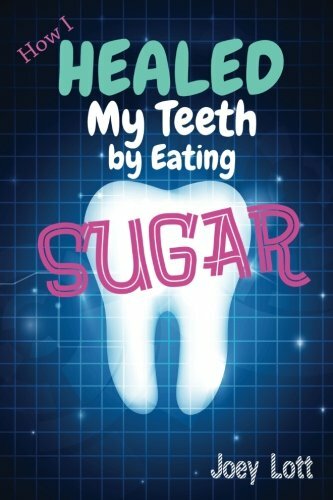 Joey Lott wrote another book last year on improving dental health while eating sugar. This book shares a lot in common with the nutritional advice I saw in presentation by Ramiel Nagel. There is some deviation on sugar and supplement advice. Lott makes a case, for which I am sympathetic to, that metabolic health is important to dental health. If we undereat, we are undernourished. Being undernourished will make the task of healing your teeth difficult, so making an effort to increase metabolism can help the process. Lott lists out symptoms of lowered metabolism, such as reduced body temperature and sleep issues. These are topics well covered on this blog. Going back to my story. They found the two cavities in 2011, but I hadn’t had dental X-Rays since 2008. What changed between 2008 and 2015? I ditched the grains for ice cream. So what did the ice cream provide for my dental health? An easily digestible source of fat soluble vitamins that increased my metabolism. Did the ice cream help heal my cavities? Maybe. As always, controversial but interesting stuff. However, can you rule out other lifestyle changes that occured concurrently with the ice-cream experiment? Otherwise it’s pretty useless to say that ice-cream cured caries. The only thing you can say is that ice-cream didn’t totally kill your teeth. Also, what process are you using brushing your teeth? @Johan – Other than what I outlined above, I can’t think of anything. Maybe the increase in fermented food? Most of those calories would be dairy kefir. I used to use an electric toothbrush, but it died and I never replaced it. That was about 5 years ago. So you don’t think that the fermented food has anything to do with it but sugar thus? I would say that fermented food is 100% of the solution. Ok then, maybe only 95%. Caries comes from an imbalance of mouth bacterias. So is it far-fatched to believe that adding good bacterias can have a beneficiary effect on mouth hygiene? I let you decide. @Johan – I’m saying I don’t know. Maybe it was the kefir? I had kefir on a regular basis for about 1 year. I had ice cream daily for 3 years. Probably a combination of increasing fat soluble vitamins from dairy, removal of grains and the fermentation. But the ice cream didn’t hurt and if Lott’s theory about boosting metabolism to help dental help is valid, then it was part of the solution. If I were reading this post and I just learned I had a small cavity and I wanted to try and heal it, I would do everything. Cut the grains, jack up the full fat grass fed dairy, do the fermented cod liver oil and work on metabolism. But I wouldn’t fear sugar from ice cream. Interesting timing reading this. 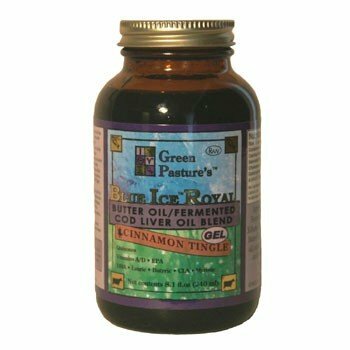 I have been wanting to fix a problem with one of my teeth and have been slack with taking the fermented cod liver oil, I take it regularly over winter and then forget to take as spring arrives. I would rather spend the money on healing the problem than just giving than just going to the dentist. I take liver once a week but maybe twice is better. Grains are on and off in my diet, but maybe a period of cutting back just to see if that improves things would be worth experimenting on. I do have a good probiotic but also not taken often enough as I just forget to take some. Lovely to see all the information in one place. I am inspired to give it another to try and fix this myself. Maybe the L-tyrosine also helped! @Pauline – Best of luck. I think I would cycle in the butter oil too. @Garymar – Didn’t see any mentions of L-Tyrosine as a candidate. Post a link if you have one. @All – Another possibility is my recent love of natto. Natto is a Vitamin K2 powerhouse. If K2 is the dental vitamin then maybe my natto intake helped? Fascinating stuff. I’m having a similar experience. I haven’t been to a dentist in about 20 years. I’ve had no dental troubles in that time. Prior to this, I had about four or five cavities filled in my life. Most importantly, I delight in the consumption of about a 1/2 pint of organic vanilla ice cream every night. I’ve started to feel a little guilty lately (actually my wife makes me feel guilty) so I have been experimenting with full fat yoghurt mixed with extra vanilla essence and a fair amount of gelatin and a little bit of sugar. But vanilla ice cream is clearly a better, more fulfilling almost religious experience. My weight is optimal or nearly optimal. Can you comment on the strength of your teeth (i.e. lack of chipping, pain, etc.). Also do you have access to the see the X-ray plates side by side? Your cavities should be bright white in an X-ray. MAS, I read this two interesting reviews that I enjoyed and I think you will find interesting. “There is SO much conflicting nutritional information being promulgated today that I am left with NO clue what is safe to eat and what isn’t. Low fat people say that fat is bad. Low carb people say that bacon and eggs are good for you. USDA says that grains are good for you. Gluten-free people say that grains are bad for you. Vegans and vegetarians weigh in against meat, but Paleo people insist that it should be prominent in ones diet. All of these people have their ‘scientific’ studies available to try to convince the eating world that they are correct. Who and what is one to believe???? In all of the things I have read I have been left to believe that sugar is not one of the the good guys in nutrition. But, I should have known. Here is the latest study reporting that sugar is ok. I suppose that it was only a matter of time. I finished this book feeling unconvinced. What I do know about sugar for sure is that the sugar industry is one of the most powerful industries in the country and has much to lose if people are convinced that sugar is evil and stop using it. Could that be why sugar needs defending? I also know for a fact as well that sugar is a factor in dental disease and cavities. Sugar does have an impact to blood sugar and is dangerous for diabetics to eat because of its impact on blood sugar levels in a way that is different and more powerful than that sugar from fruit or other carbohydrates. Sugar has no nutritional value other than calories, and, as such, it has an impact on nutritional health. Either one eats sugar as well as nutritious foods and gains weight or one eats sugar at the expense of nutritious foods and does not get the nutrition available in those foods. That is just basic arithmetic. There is NO dietary need for sugar at all. “The author has become more ‘pro’ sugar and simple carbs, and more ‘anti’ greens, legumes, nuts etc. But, the thing is, IF his health, metabolism, and dental issues improved by eating sugar and simple carbs, it is because it was a step up from his radical dieting and starving himself. Not because sugar and simple carbs are good for you, or that healthy foods have phylates and such that block minerals – but that he was finally getting enough CALORIES for his body. Lastly, we all know about the myriads of books and credible experts that says sugar is a disaster. I also seen books and blogs about people who only made one adjustment — cut out sugar — from their diet and all problems they had disappeared in a magical way. As the “scientist” I am I am very skeptical to all anecdotal as well as scientific evidence provided to us. So I’m still sitting here in the dark. I’ve lent my copy of the book numerous times. Glad to see it is getting on-line exposure. So my question about the ice cream: I recently checked my grocery store and the majority are just loaded with crap. What variety do you find acceptable? What are the criteria you look for? I live near Amish/Menonite communities. I may have to go search for a source of cream and churn my own. Thankfully in Pennsylvania we can still purchase raw milk. @Glenn – I knew you’d be commenting. Thanks for the dental tips as usual. @Thomas – I trusted both dentists knew their job and could detect cavities from X-Rays. The visits were 4 years and 2 states apart, so no I did not see the 2 X-Rays side by side. I believe my teeth are strong. @Johan – I completely disagree. I could probably spend 2,000 words going line by line making my case why sugar is not the evil devil. Been there done that. Believe what you want. As long as people what to label foods as good or evil, these debates are pointless. @Rob – I don’t overthink it. Just get a basic vanilla. It will have the fewest ingredients. I add cinnamon. Blueberries are nice too. MAS, it doesn’t have so much with believes to do. Firstly I stated two interesting opinions from people’s book review. I found them interesting, maybe you didn’t. Secondly I stated a fact, that many people swear to have got well from all kinds of problems after they cut out sugar. I don’t see what my believes have anything to do with it. I am agnostic and a believer in science. I thought you were too, that’s why I would think that you would find these contradicting point of views interesting. Guess I was wrong. @Johan – People see benefits when they cut out anything an excess. It is the excess that is problematic. I am a believer is science. The “science” that sugar is toxic is weak. Obviously it is weak since there are some people increasing the sugar intake and get better. The Matt Stone and Peat crowd. However, do you think processed foods with almost no nutritional value besides calories, this thing called sugar, is better than non-processed foods? As one of the reviewer stated, by increasing sugar intake you must either increase your total calorie intake, which must have meant that you were calorie defiecient in the first place. I don’t know how likely that is in today’s society, OR, you must substitute nutritional food with sugar to keep your amount of calories on the same level as before. If you don’t see a controversy in this or think this is an important critique, then I don’t know. @Johan – The point of the book and my personal experience is that some of us when we eat too clean enter a calorie deficit. Our appetite tanks. Then our metabolism starts to drop. With that comes a host of other issues. So to me it is unimportant what is more likely with a societal average than what affects me. Sugar via ice cream helped me. I was underweight. I was stressed. My sleep wasn’t great. It helped restore my appetite when whole foods couldn’t. That is just my story. I have lots of comments on this site from others that have benefited. With health things aren’t always black and white. There is context. The reviewer on Amazon fails to see that. Looks like it’s the Vitamin D that helps reversing cavities, of course it’s better to cut all grains according to this article. @MikeTO – Thank you! Great info on all the links on WHS. Was unaware Guyenet had posted on this. Outstanding! MAS, yes one man’s poison is another man’s potion. But reading this blog post of yours I think that many readers will interpret eating ice-cream as a good general advice. And maybe it is. But I think it is much premature to say. However, with your prior health issues, you might have special demands. For others, maybe yes, maybe no. Still very interesting to read. MikeTO, I agree with MAS, what an extremely interesting post! I have one query though, I’ve heard all this about milk containing substances that will reduce mineral absorption. Also, milk today is highly processed. Not only the processing itself but also how the cows produce it. I think I cow today produce 20 (sic!) times the milk a cow did 100 years ago. That will surely come with some expense regarding the health factors. @Johan – I thought the post was clear in that I was asking the question. Compare that to the Matt Stone post on the topic titled: How to Strengthen Bones and Teeth With White Sugar. Unsure about the mineral angle. You’re right MAS! Maybe I drew too many conclusions. The safest milk is non-dairy milk since those animals won’t be so genetically modified as cows are. Also the casein in goat milk is considerably easier to digest (smaller molecule) than cow’s milk. So that may be a better one. @John You can get organic ice cream and with some of them they also have grass fed cows that produces the milk. So I just went for a dental cleaning on Friday. No cavities. This is remarkable considering I have had to have 2-5 fillings every year for the past 20 years (I’m 28 now). My dentist, who I’ve been for many years was shocked at how nice my teeth looked. About a few months ago I switched to eating a diet about 50% fat 25% carbs and 25% protein, and alongside losing weight (I wasn’t even close to being fat to begin with) my oral health has improved a lot. I also regularly supplement with K2 and D, so there are a few factors that could be relevant. I wonder if eating more fat in conjunction with fat soluble vitamins played a big part. @Baroness – Thanks for sharing. Another point for Vit D and K2.